Directions: W. Main Street To Gunninson Drive To Noyes Lane. **MERRIMAC, MA IMMACULATE BOASTING OVER 2,400 S.F. 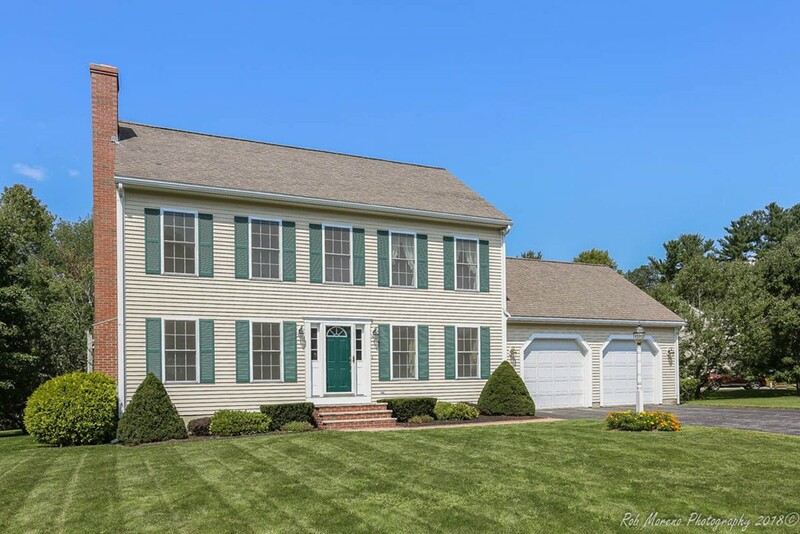 OF FINISHED AREA: Spacious 9 Room Colonial boasting 3 Bedrooms, 2 Full and 2 Half Baths, with an Attached 2 Car Garage in the Highly Sought After Birch Meadow Estates Neighborhood. Special Features Include: A Custom Designed 26 Open Concept Kitchen with Granite & Stainless Appliances / Family Room with Brick Fireplace & Recessed Lighting / Large Master Bedroom with Adjoining Master Bath / Walk Up 3rd Floor for Future Expansion / Gleaming Hardwood Floors and Staircase / Tile Bathroom Floors / Over sized Windows / Large Rear Deck & Private Brick Patio / Large Garden Shed / Underground Utilities / Manicured Lawn / Professionally Landscaped / Mature Plantings & Trees / Central A/C / Town Water & Sewer. Easy Access to Routes 95 & 495, the Commuter Bus & Rail, Boston and 3 Major Airports.